This may come as a bit of a shock, but Britain is a land with a damp problem. 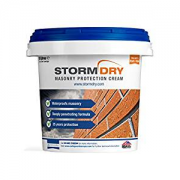 Damp and water damage is a problem affecting hundreds of thousands of UK households, and whether it is finally summer and dry enough to paint, or coming into winter and the encroaching damp season, it is always the right time to protect your property from the problem. Waterproof paint is a membranous coating solution which prevents the risk of damp and seepage, acts as a barrier against water, and inhibits the growth of microbes which need moisture to survive (such as mould). There are products for a range of substrates, including waterproof paint for wood, masonry, brick, cement, and more, and in this article we look at the top products across the board. The best waterproof paint is the one chosen with your exact requirements in mind. 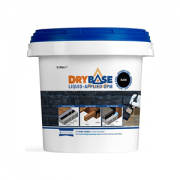 Below is a selection of some of the top waterproofing paints available in the UK. Or you skip further on and read our waterproof paint guide and application tips. This product cures to form a membrane that is a flexible and elastic barrier coating, protecting substrates from damp and ground gases. It can also be used for isolating embedded timbers, waterproofing bunds and silage tanks, flood resilience, waterproofing floor-wall junctions, and more. 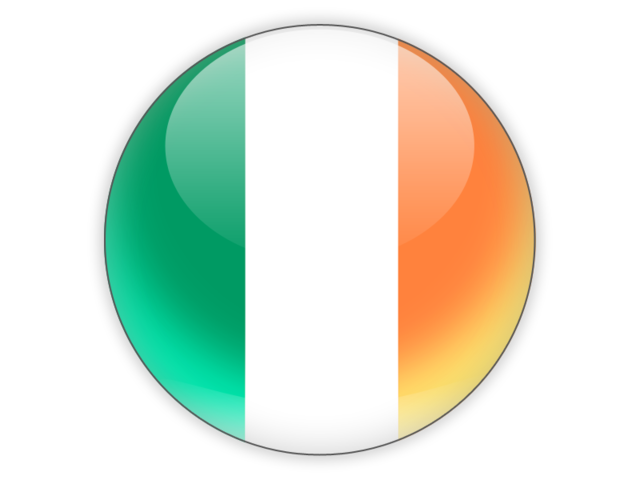 Permagard is an independent family business, specialising in manufacturing and supplying Damp Proofing, Basement Waterproofing and Structural Repair products. 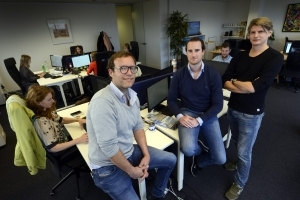 they are known for their high quality and low prices. 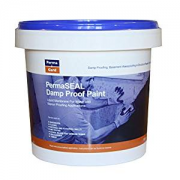 PermaSEAL Damp Proof Paint is a high performance damp proof membrane. 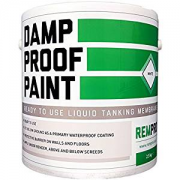 It creates a waterproof and vapour proof barrier for basements, floors, walls, tiles, bunds, tanks, and more that is applied via brush, roller, or spray and goes on like a thick emulsion. It can be painted over with emulsion, is flexible, resistant to light abrasion and UV light. Breathable – The membrane of the waterproof paint should be breathable to prevent the build up of damp and water pressure within a substrate. Allowing water vapour to permeate the membrane does not encourage damp, but does encourage stability. Versatile – They are suitable for a whole range of substrates including waterproof paint for wood, masonry, brick, cement, plaster, etc. They can be applied to interior and exterior surfaces, walls, floors, ceilings, basements, roofs, and more. Range of chemistries – Part of its versatility is due to the range of chemistries represented by the name “waterproof paint”, including liquid rubber, epoxy, acrylic, nano, and pu paint. Works in both directions – Prevents steam and humidity from the room penetrating the walls, and damp from the walls damaging the surface. Which waterproof coating you need depends on the surface type, the environment, whether it is precautionary or in response to a pre-existing problem, the kind of damp you have, and the appearance you are hoping to achieve. Waterproofing these spaces is not always done as they are not required to be livable spaces, but they are some of the most damp-prone spaces in a building. Epoxy paint is a common waterproof paint for concrete as it is tougher than some of the other options, provides good adhesion to porous substrates, and is highly water resistant. It is important to use a breathable paint for cellar walls. Cellar tanking is another option – a ‘tanking slurry’ (a waterproof coating) is applied to the walls and floors, making the cellar watertight. Damp and condensation on ceilings may require the application of an anti condensation or mould proof paint. It is most often caused by a high degree of humidity in a room such as a bathroom or kitchen. Areas of a bathroom or kitchen where splashing and moisture is a risk may benefit from a nano coating, which provides a clear waterproof wall coating for at risk surfaces. Firstly, you need to determine if the damp is from the wall, floor, or from the humidity of the space. Peeling wallpaper or crumbling plaster is a clear sign of damp, as is dampness in the skirting board. You also need to find the source of the damp – is it a leak, rising damp, poor insulation? If you do not fix the cause, you will be fighting damp forever. If the skirting board is affected you will need to remove the skirting, treat the wall behind it, then replace it. A waterproof paint for interior walls such as an acrylic will also work against humidity. One of the most common waterproofing coatings for exterior walls is waterproof masonry paint. This comes in a variety of chemistries, including thermal shielding and pliolite options, and protects masonry from water and weather. It prevents water seeping into walls from the outside, but does not affect water in the walls from damp. There are also clear waterproof paints based on nanotechnology, which seal the wall against water. These only provide temporary protection, however. Wood surfaces are particularly prone to water, and areas like window sills and frames, skirting, exterior walls and surfaces are prone to damp. Weathershield products, wood sealants, glosses, and specialty damp paints are all suitable as water resistant paint for wood. Waterproof primers are always a good idea in real trouble spots, always remove all mould before applying a coating, find the source of the water, and always follow the manufacturer’s instructions. As well as the items outline above, there are many more waterproofing paints available, covering a wide array of substrates and surfaces. Below we look at just a few more. Thompsons Clear Water Seal | 1 L | £8.39 | Coverage dependent on substrate material | invisible waterproofing seal for wood, concrete, mortar and bricks. Ronseal Quick Drying Woodstain Satin | 750 ml | £14.49 | 7 sq m / litre| colours, protects and waterproofs exterior wood. Dulux Bathroom Plus | 2.5 L | £20.00 | 13 sq m / litre | wall paint ideal for creating a contemporary and smooth look for bathrooms. Rust-Oleum Tub & Tile | 940 ml | £30.10 | 4-6 sq m / litre| 2K, epoxy acrylic finish for refinishing ceramic tiles and porcelain, fiberglass and cast iron bath tubs and sinks. 4-6. 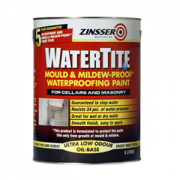 Zinsser WaterTite | 5 L | £72.67 | 2 sq m / litre | A waterproof paint which keeps water out, contains a biocide that protects substrate from fungal degradation for a minimum of 5 years. Masonry is a common material on facades, however, it is porous and tends to absorb water without an appropriate coating. Therefore, there are several products for waterproofing masonry on exterior walls. Rust-Oleum Murfill | 6 Kg | £56.29 | 1.5 – 3 sq m / kg | a waterproofing coating for almost any exterior wall including masonry. Sandtex Microseal Smooth Masonry Paint | 2.5 L | £19.00 |16 sq m / litre | Dirt resistant, breathable and waterproof masonry paint.